The last of the four dukes. Rufus is known as the longest living duke (at 67 years old) and is a very knowledgeable person. He holds information on almost all topics and even knows people's personalities and is thus able to predict their reactions. He absolutely detests people changing without him knowing as then he would not have the most updated information. Oz and co. approach Rufus to seek information about the Tragedy of Sabrié. Rufus first appears as a round man with a big mustache wearing a big teacup shaped hat. Later, after getting destroyed by Break, it is revealed that the real Rufus created that illusion. 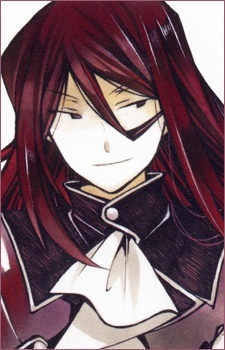 The real Rufus has long red hair, tired looking eyes and speaks in an old fashioned style. He was sought by Oz in order to learn more about the Tragedy of Sabrié, but instead, they learned about Break's past. Sheryl Rainsworth, Shalon's grandmother, is a childhood friend of Rufus. In one of the omakes, it is revealed that she was in fact his first love, though she coldly rejected him. In chapter 47, it's revealed that Rufus and the Barma family are from another country, though the name of the country is unknown. A major theme of Pandora Hearts is getting up even when life smacks you down. Here are 15 quotes that will inspire you to become better and keep moving forward no matter what!